I love mixing up my wardrobe and finding looks that were never part of my rotation before, this look is one of those! Jumpsuits are so popular and while I love the way they look, sometimes it’s hard to find one that is just the right fit. 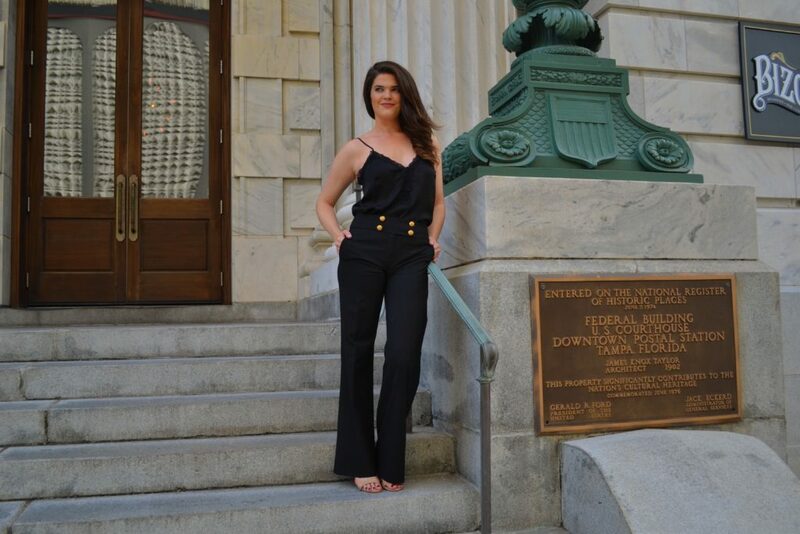 This black satin top and high waisted black pants gives the illusion of a jumpsuit, with two pieces I already had in my closet! Sometimes getting colors to match is hard, these pieces worked together perfectly to come together as one look. I love the way the satin blouse loosely fits and the high waisted pants add definition to my waistline. It is fun to think outside of the box when it comes to your closet. Why not try mixing things to create new looks? Sometimes they don’t work, I get it, but sometimes you get something that works as a totally new outfit! This look is sophisticated and easy to wear. Black on black might not be your thing, I know it can be dark but everything in my closet is! If you want to give this outfit another spin try putting things together in your closet that could work as a two-piece set. For example, these pants are great for work, they add to the black on black look, but if you have a black crop top this look can have a third night out! Think Ariana Grande circa the VMA’s and Lorde circa the Golden Globes. For this look my Forever 21 top was under $10. Also, these pants were $17 on sale, RIP The Limited.